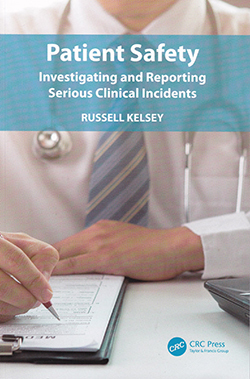 This book is aimed at healthcare professionals who are conducting incident investigation and root cause analyses. It focuses on people working in GP practices, out-of-hours services, urgent care centres, prison health and NHS 111 services. The book is well laid out and uses case studies throughout to frame the chapters and promote exploration of the issues. Patient Safety helps the reader how to recognise a serious incident, how to undertake a root cause analysis and when a duty of candour would apply. The topic is not new but the book is informative and interactive, encouraging the reader to undertake a root cause analysis using the case studies provided. A particular highlight is the acknowledgement of human factors and the emphasis on how it is important not just to identify human error but also to prevent it in the long term. As a manager who would undertake root cause analysis, I particularly like the section on how to write a report. The book provides a logical structure for a report, with clear headings and content. Although aimed at primary care services, Patient Safety would be a welcome addition to any manager’s library.